.Quilting and Embroidery completed simultaneously. .Driving by roller system without frame. .Keep fabric smooth by Tensile Motor at the inlet and outlet fabrics. 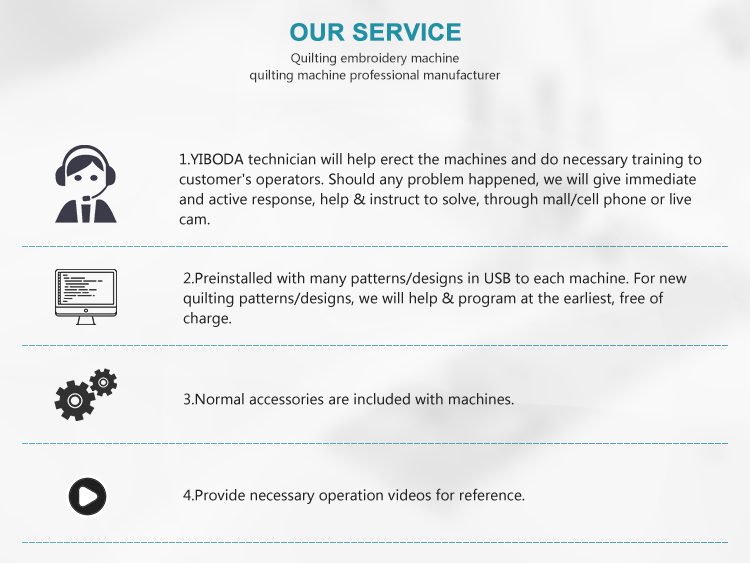 .Keep embroidery precision by Servo driving at x/y axis. 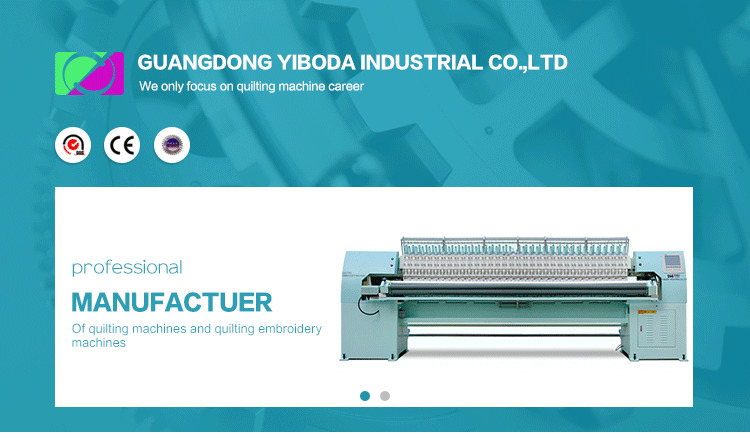 .Auto-stopping function once thread broken. 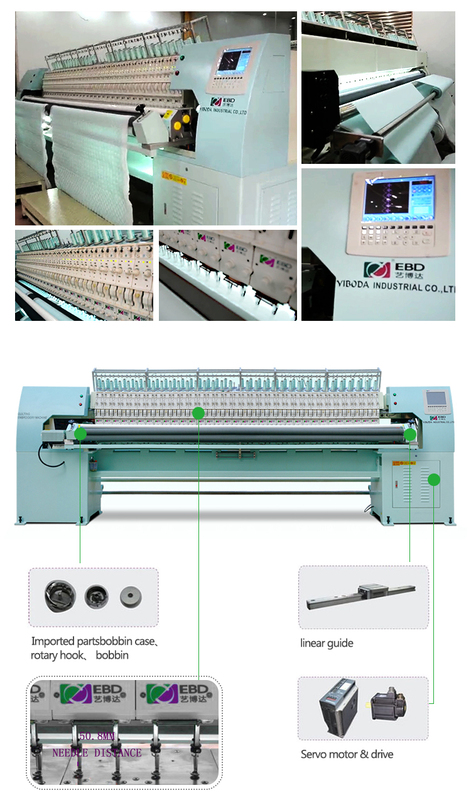 .Auto-return for patch-up embroidery function. 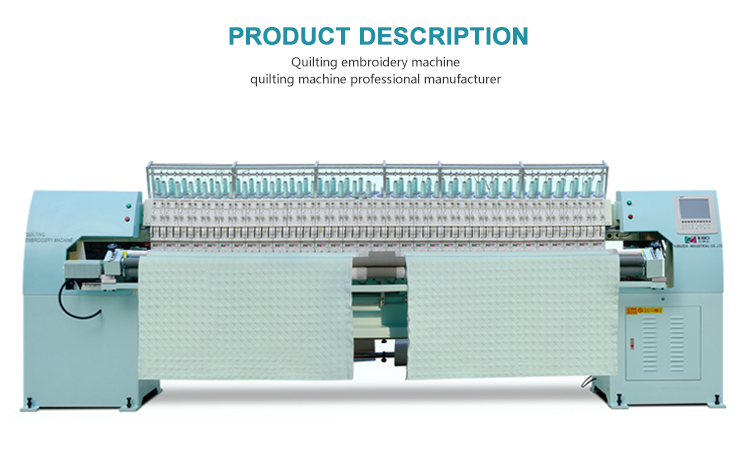 .Easy head selection for quilting function. .Continuously quilting independent patterns function. .Tajima,Barudan,ZSK and SWF formats are readable. .Unique mechanical structure can diminish self-vibration and noises. 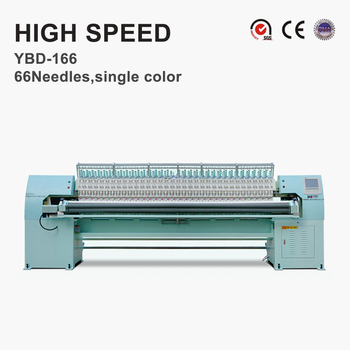 .Various materials are available for embroidery. .Prepared some quilting embroidery patterns for your choice.